The majority of passenger rolling stock 1870-1890 has no class definitions (defaulting to low). These are the GNR, Midland, LSWR and the LBSCR and essentially all carriages after the 1870's LNWR sets that last had class definitions. Perhaps this is because graphics have not been changed to represent various class carriages? I have not yet got around to adding the various classes of passenger carriages in these eras: I was hoping to complete the passenger carriage classes at Christmas, but the early carriages took much longer than I expected in terms of research (and I ended up generally improving early railways (i.e., pre-1850s) a great deal, which were much lacking previously), and did not have the time to finish the carriages. I have been very busy recently with a number of things outside the world of Simutrans, and such Simutrans time as I have had has largely been spent fixing bugs. These will be done in due course, but it is very hard to predict when I will have the time. If anyone else would like to do this (even for just a limited range of carriages, e.g., GNR carriages), then this would be welcome, albeit some detailed historical research would be necessary to ensure that one is representing the correct kinds of carriages with the correct sorts of graphics, and it is likely to be necessary to re-render the complete set of graphics for that whole type of carriages (including all livery variants), as the new rendering model produces graphics that do not look identical to the old rendering model, so carriages of the same type should not be produced by differing rendering models. (Indeed, it is the necessity to deal with these issues that has made it take so long to produce the full set of classed carriages). I've done a little research on the topic, because I've noticed the same issue present. Here's a bit of information I've found and a pull request in github to incorporate this. According to a short history section on page 6, the following details about LSWR 6 wheel carriages are given: The first design being, drg.2454, a six wheel 4 compartment 1st/2nd composite, a year later, 1st/2nd 6 wheel composite saloons were built. These were closely followed by three types: 4 wheel 3rd brakes, 5 compartment all 3rds and 4 compartment all 1st's. I've edited the lswr 6 wheel 28ft and created a pull request. My amendments are: fixing the missing capacity on the front brake, adding a 1st/2nd class coach (assuming 5 per bench in 2nd, 4 in 1st, comfort increase of 2 and 13 like the lnwr 30ft). I'm unsure whether the overcrowded capacity should be enabled in the higher classes, but I've settled for four standing in per second class compartment. I'm using a substantial amount of data from lnwr coaches of the time. Let me know your thoughts on my suggestion, I'm happy to hear whether this approach is suitable for the pakset. I've pushed it to James, because I can't seem to push to Rollmaterial's fork. Thank you for your work on this. I have incorporated some of your changes but not all of them: in particular, the LSWR 28ft carriages need more work before they can be broken down into firsts, first/second composites and thirds: the thirds, being five compartments (thank you for researching this) will need new graphics showing five compartments. When creating any new vehicles, new translation texts are necessary, as is updating coupling constraints in all other vehicles in the pakset that have coupling constraints and that might need to couple to this type of vehicle (i.e. all those that already have coupling constraints allowing coupling with any of the other 28ft LSWR carriages). You're most welcome. I'm hoping to contribute in a small fashion, fixing easy issues that require time rather than skill. the thirds, being five compartments (thank you for researching this) will need new graphics showing five compartments. Forgive me for asking, but isn't the following file a 28ft 6 wheel with 5 compartments? "Pak128.Britain-blends/trains/Carriages/lswr-6-wheel-28ft.blend". I have modified this file to produce two 1st/2nd class composite carriage suggestions. They're located here and here, which if found suitable could be used to complete the addition. On one I have widened the compartments to fill the length of the carriage but kept the "inner" compartments as an array not yet confirmed into their position for easy adjustment. The other is modified to resemble the model shown on the page referenced in the dat file. Are dat file constraint entries are case sensitive or limited in character types (such as "/")? I've just read your other reply. Merry Christmas to you and your family! I've attached png previews so you don't need to produce graphics to see the changes. Furthermore I'm offering changes to the 8 wheel LNWR carriage constraints, to allow the front brakes to be coupled to the passenger carriages. See the GitHub pull request. Thank you for this. I have just pushed a commit with an update including new graphics for the 28ft LSWR 6 wheel carriages. You are correct: the Blender file was indeed for a 5 compartment carriage, so I have created a new 4 compartment carriage as the 1st/2nd composite. The reason that I have done this from scratch myself rather than used your version is that there are a number of complexities in the process of which your version did not take account, and I thought that the easiest way of explaining these complexities was simply to demonstrate how to deal with them by doing this myself. First of all, the graphics. The graphics are now produced using the new, more efficient process taking advantage of the ability to use transparent pixels: see here for a description of the transparent workflow. The carriages (and other pakset objects) produced using this new workflow look slightly different (and better) to those produced using the old workflow. This means that, when one object in a set (in this case, a variant of a type of railway carriage) is re-rendered using the new method, it is important to re-render all others in the set so that the appearances match. I am not sure how you produced the graphics above; I noted that they were not included in the Github commits. Secondly, the naming conventions. In the translation texts, the front brakes are just called "brake" (not "brake (front)"), but the rear brakes are called "brake (rear)". This is because "(front)" is unnecessary information when a player is assembling a train in a depot. For the base names, the vehicles should be named "third", "second", "first" and "composite" - I believe that the / and \ characters cause problems in names. An example of the correct naming conventions in the translation texts is given in the commit incorporating these vehicles. Thirdly, the comfort. Calibrating the comfort for the different classes of vehicles is a somewhat challenging process, as every vehicle's comfort must make sense relative to every other vehicle's comfort. There is a spreadsheet in the pakset here which gives the comfort of every vehicle. This will need updating when adding multiple class variants of railway carriages. Using this spreadsheet makes the calibration of comfort values much easier than it would be without the spreadsheet. You will note that I have given lower comfort values for the second/first class than you had specified: that is because your values were closer to existing vehicles that had lavatories than to non-lavatory 6 wheeled first and second class carriages of the 1870s and 1880s. Fourthly, "none" should not be removed as a next constraint on the front brake: doing this prevents players from having only one carriage in a train if they so desire. Fifthly, the next/previous constraints. Adding any carriage requires updating all other carriages in the pakset that need to be able to couple to this carriage, not just other carriages of the same type. You will see in my commit the large number of carriages whose coupling constraints had to be changed to accommodate the new composite carriage. This is tedious but necessary given the way in which coupling constraints work in Simutrans. Sixthly, the names of existing vehicles. You changed, e.g., "lswr-6-wheel-28ft-brake-rear" to "lswr-6-wheel-28ft-brake-rear-3rd". It is best not to change the base names unless this cannot possibly be avoided: just change the translation texts instead. This is because doing this will break all existing saved games that use this carriage (unless you add a suitable renaming entry in compat.tab), and will also break all references to this type of carriage in all other carriages' coupling constraints. Thank you again for your work on this. If you can merge my version of the changes into your branch and revert any removals of the "none" constraint on front brakes, I can then incorporate your fixes automatically into the main branch. It is very helpful of you to contribute in this way: the reason that I have gone into detail about the things that need to be rectified is that I very much appreciate your contribution and if you are able to remedy these issues in future work, I will be able to incorporate it automatically very efficiently, which will be extremely helpful to me and to any user of the pakset, as it will greatly speed the completion of the work in adding classes to the passenger carriages so far missing them. If you are keen to continue this work, may I suggest that you work on LSWR, LBSCR and Southern carriages while I work on LNWR, MR, LMS and GWR carriages (and the others, such as L&TSR and Metropolitan, we can consider later)? Incidentally, I have now recommenced work on adding multiple class variants to carriages of this era, starting with the LNWR carriages, and have so far reached the late 1890s. I am not sure how you produced the graphics above; I noted that they were not included in the Github commits. I produced the graphics with the intention of showing a quick overview of my two suggested 4 door variants. They were made in blender using the files I mentioned in the post, but I only posted the two SW images for a quick comparison hoping to save you the trouble of opening each file in blender and generating the images yourself. I didn't create a pull request for these as you may have not wanted to use either model or make adjustments to suit. Please note the images are already using the transparent workflow, I was uncertain as to whether you still merge the images into the side by side image file or whether this workflow intends to not use combined images. I checked both the tutorial (which is great and I hadn't seen it before) and your link which implies keeping the individual images (as do your recent commits). As to secondly, I've looked into the changes and I'll follow suit. The potential issues with / and \ are what caused me to enquire first. To thirdly, may I suggest to indicate the comfort values not set prior and allow your revision to evaluate? I am just not that certain about how different operators and coachbuilders compare across the board. Fifthly, the next/previous constraints. ... This is tedious but necessary given the way in which coupling constraints work in Simutrans. I agree entirely as it's very tedious but essential to the different coupling systems available. Do you use some automated system or a form of reference checking? I am very grateful for you going to the extent of answering my questions in such detail and clarity. This sounds like a good start to get things moving. I'll be keeping an eye on your changes and will try to emulate these. Splendid, that is helpful: thank you. Yes, the idea is to keep the individual files per direction, as this eliminates an entire step (and also eliminates reliance on some specialist Windows-only software that was necessary to automate this task), greatly improving the efficiency of production of the graphics. In relation to comfort, yes, do double check with me whether the values are sensible - but it is always a good start to cross-refer to the spreadsheet. May I suggest adding your values in the spreadsheet in a different colour (e.g. blue) if you wish them to be marked for review? As to the coupling constraints, I do not have an automated system for checking this: I simply add the additional constraints to the end of the existing constraint pattern by copying/pasting. In any event, thank you again for your help with this: it is much appreciated. Edit: I have now merged your fixes to the LNWR 8 wheel constraints, and added some fixes to your fixes to show what needs to be done when re-naming a vehicle: an entry needs to be added in compat.tab and the translation texts need to be amended. This is a good step for me as I've made the move to Linux this year, your efforts to stay platform independent are well appreciated. In the Output module in Blender (after the png & RGBA selection), do we use 8 or 16 bits of colour depth on the images? I noticed inconsistencies and want to be certain. About LBSCR 6 wheel carriages: There are each a third class umber (lbscr-6wheel-third-umber.blend) and a second class umber (lbscr-6wheel-second-umber.blend) carriage in the blend repo. They were added to github at the same time, but don't quite look the same. I'd like to know which one I should edit to adapt liveries. The LNWR fixes seem to have overfixed the convoy assembly, but a quick scan over the files hasn't revealed any obvious mistake. Have we misprinted a name which the game resolves to a "none" constraint? I apologize for the snails pace, the holidays are a less productive time for me. If there are pointers to compiling the pakset on linux, I would be grateful. If not I'll fire up a VM and use Windows as it's not that difficult. Interesting that you should have noticed inconsistencies between 8-bit and 16-bit colour rendering: I had not spotted that. I think that 8-bit should be sufficient for our purposes. In respect of liveries, the definitive Blender colours for each livery in the pakset can be found here. Thus, if there are any inconsistencies in livery colours in the .blend files, they should be resolved to the colours in that list. In respect of the LNWR constraints, can you elaborate on what you mean by "overfixed" here? As to compiling the pakset on Linux, there is a makefile, so you just need to type "make" (or "make -j[X]" where "[X]" is a number of threads to use, e.g., "make -j5" to use 5 threads, one more than on a four core CPU, as one of the threads does very little work) on the command line in the directory where the pakset is situated. This is actually a better build process than using the Python script in Windows (it is faster, too). The LMS "Coronation Scot" newly in its original blue livery (the red livery is available as an alternative), with new kitchen and dining saloon cars, all with appropriate class definitions. The next task is to add class definitions to the LMS push pull set and then to the narrow gauge carriages, which currently entirely lack class definitions, before returning to add class definitions to more carriages of different railway companies (e.g. the Midland Railway). Here are the LMS push-pull carriages re-rendered and with added class definitions: the centre carriage is a composite. The locomotive (the LMS 3F "Jinty") has also been re-rendered. I have been working especially on narrow gauge vehicles of late. All the narrow gauge vehicles have been re-rendered and re-scaled (they needed to be reduced to 0.89 of their former size, as they were too large), and class definitions have been added for passenger carriages. A number of entirely new narrow gauge vehicles have also been added, such as a number of different Hunslet quarry locomotives (previously there was only the one, the "Alice" class), and some workers' carriages (the originals were known as "quarrymen's carriages") set to the "very low" class (i.e. 4th class) by default to allow low paid workers to reach industries away from population centres. Standard gauge railways also had what were known as "workmen's trains", but these were generally made up of old third class carriages; the narrow gauge railways (such as the Ffestiniog, on whose carriages these are modelled) had no surplus old carriages, so had to build these from scratch. The original open wagons (which can be overcrowded by the brave quarry workers sitting on the outside rims of the carriages with their boots dangling over the edge as they did in reality, and which is depicted in the loaded graphics) can be upgraded to the enclosed versions (both shown), and both are later superseded by an all-enclosed, continuously braked vehicle. A quick update on my progress: I've managed to compile the pakset and add classes to the LBSCR 6 wheel carriages. I still need to fiddle with the offsets, but that is what remains. A github pull request should surface on the weekend. Thank you for this. May I ask why you need to use offsets? If you align the carriages correctly in Blender, no offsets are required. The easy way to align the carriage is to select the relevant layers, press "a" to select all in those layers, press numpad "5" to get an orthographic projection, press numpad "1" to get an exact end-on view to align horizontally, then press numpad "3" to align vertically and laterally with an exact side-on elevation. You need to have the buffer stops exactly four large Blender squares to the left of the centre line. The LBSCR 6 wheel carriages now feature multiple classes and updated graphics. I hope the scaling is correct and the alignments are satisfactory. The difference in colour of the mail and goods carriagescan be attributed to fewer windows. The composite carriages feature a luggage hold, the firsts only four compartments and each goods waggon comes in braked and unbraked variety. I'm looking for feedback in both modelling and costs/capacity. edit: Thank you James for your patience and support. Once on the right track, your workflow becomes apparent and quite natural. I thought I needed offsets for reversed vehicles, but turning them around in blender does the trick. Excellent - this is definitely progress! These do look good. Do not worry if the locomotives look slightly large for the carriages: these have not been re-rendered with the new workflow yet. Once re-rendered, because the edge pixels will have an alpha channel, and will blend into the background, the locomotives will look the correct size. The easiest thing to do with reversing end-brake vehicles is to rotate them (select the relevant layers, "a" to select all, "r" to rotate, "z" to confine rotation to the z axis and type "180" to rotate by 180 degrees: much easier than trying to get it precise with the mouse). Indeed, a good technique for carriages that I have used on some of the later ones (including the LNWR 57ft carriages recently re-rendered) is to have on .blend file for multiple carriages that share the same body profile and length, and just have a different layer for the windows/doors/duckets which can then be switched in and out for rendering multiple carriages. This makes adding multiple liveries much easier. If you do it this way, you can just have one set of windows/doors/duckets for one direction and one for the other, leaving the carriage body, underframe, etc. in one piece. Thank you very much for helping with this: it is much appreciated. Thank you for the pull request for this. However, the definitions seem to be missing the .dat files for the new carriages - did you forget to issue the "git add --all" command (or equivalent if using a Windows GUI frontend)? 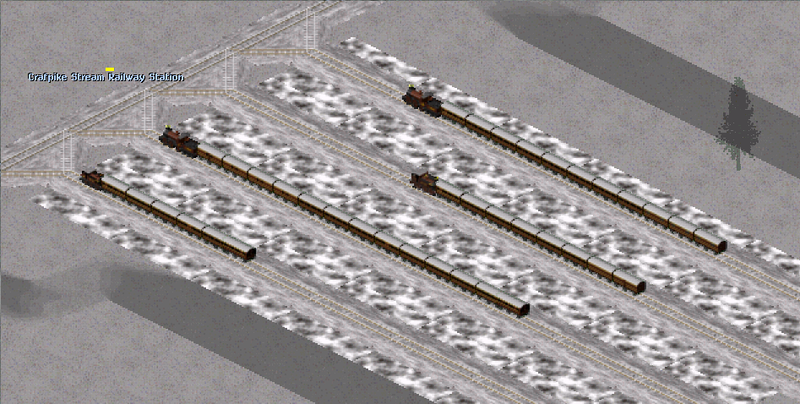 I added the new carriages into trains/lbscr-6wheel-carriages.dat in order to keep clutter at a minimum. This link should show the file. Alternatively, one can filter out the .png files and the .dat file diff should not have expanded by default as there are a lot of additions. On the topic of pull requests, should I make a pull request on the Blends repo? This makes adding multiple liveries much easier. If you do it this way, you can just have one set of windows/doors/duckets for one direction and one for the other, leaving the carriage body, underframe, etc. in one piece. I'm worried I might be missing details in liveries as I believe I know far less about the looks of the vehicles as you or the other contributors. But with enough sources and time, these obstacles can be overcome. 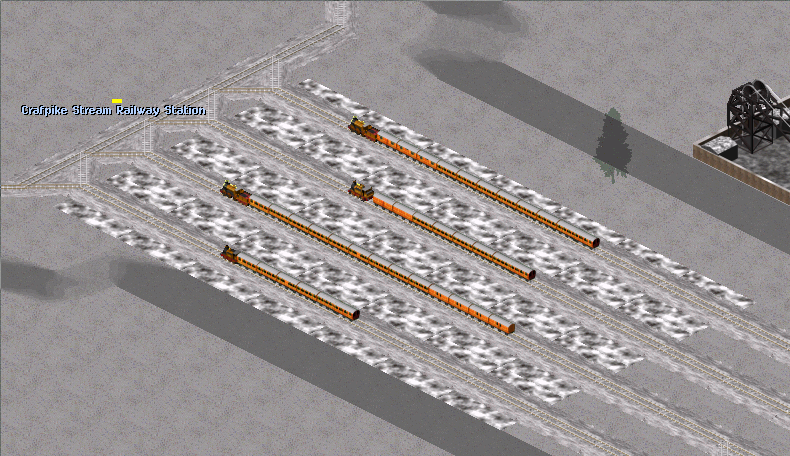 I added the new carriages into trains/lbscr-6wheel-carriages.dat in order to keep clutter at a minimum. This link should show the file. Alternatively, one can filter out the .png files and the .dat file diff should not have expanded by default as there are a lot of additions. Ahh, I see - that seems to have been my error in not fully understanding the Github web interface: for some reason, those files did not show up under an individual commit when I looked at them. However, now, on inspecting the web interface, I get an error to the effect that there are merge conflicts too complex to resolve at the command line. I suspect that the comfort calibration spreadsheet may be at fault here. Can you see if you can merge my latest changes into your branch, resolve the conflicts as necessary (you might have to do this manually with the comfort calibration spreadsheet by noting your changes in a separate spreadsheet, deleting your version, pulling mine, then manually re-applying yours), and then issuing a fresh pull request for the merged branch? The comfort calibration spreadsheet can potentially create problems if two people are working on it at the same time, so we may have to think of a way around that. On the topic of pull requests, should I make a pull request on the Blends repo? Yes, please do: that would be most helpful. For the LBSCR, I was able to find most of what I needed either from the web or from general books about railway carriages, and likewise the LSWR. If you need information on a livery or details of a particular carriage, please do ask, as I do have a number of books on railway carriages. Sometimes, it is necessary to make an educated guess about how a particular carriage would have been configured. I have issued a pull request for the Blends repository and the pak repository can now be automatically merged. Does github work with databases? It may make entering/extracting data from the .dat files easier if scripted. Sometimes, it is necessary to make an educated guess about how a particular carriage would have been configured. I hope my attempts are satisfactory and in any case feel free to adapt/correct further. Thank you very much for this. I have now incorporated the changes. I have made some minor corrections to the translation texts for two of the carriages: you had missed "(third class)" from one of the brake carriages, and the word "composite" should go before "carriage" rather than in the brackets with the class description. In terms of the .blend files, one or two things that I notice: first of all, make sure not to save the .blend file after the creation of the .png files: always save before this process and then revert to that save immediately after the export process has finished. This is because that process will leave the camera/light sphere aligned incorrectly for exporting again, and this is not easy to correct. Secondly, I notice that you have left the anti-aliasing at 16, whereas it generally looks better at 11 when using the new workflow. Thirdly, I notice that you had some objects in layer 3 in at least one of the .blend files (the LBSCR 6 wheel first class carriage): layer 3 is reserved for the light sphere. It is usually best to disable layer 3 when editing, and enable it only when actually exporting/rendering. In any event, thank you again for this work: it is much appreciated. Thank you for the feedback. I understand it is vital to creating a coherent and well set up repository. I'll try my best to keep in line with the pointers given. Should I re-render the LBSCR 6 wheel carriages? I understand the desire to get things right while things are still fairly fresh. You need to have the buffer stops exactly four large Blender squares to the left of the centre line. I've attached a preview of re-rendered LBSCR 4wheel carriages, which I hope to commit later this weekend. Is there anything to be done about the mail carriages' distance to each other? Changing length in the .dat file doesn't help much. Thank you for that. It may be helpful if you could re-render the 6 wheel carriages with the anti-aliasing set to 11 to ensure a consistent look; the difference is fairly subtle, but they can seem a little too soft on 16 with the alpha blending enabled. Thank you for progressing to the 4 wheelers: that is helpful. As to the distance with the mail carriages, can I ask you to clarify what you mean when you state that changing the length in the .dat file does not help much? Do you mean that increasing it by 1 makes the gap too big, or that changing it seems to have no effect at all? If the latter, if you are using a train created when the length was at a different setting, note that you will need to send the train to the depot and out again to see the difference. Incidentally, it would be very helpful if you could re-upload the reproduction case for the bug in this thread, as there is some reason to believe that fixing this might possibly fix the loss of synchronisation error on the server. Thank you again for all your work on this: it is much appreciated. I'm sorry I missed that response. The link has been updated and should remain easily accessed for a long time. I have committed updates to the LBSCR 4 wheel carriages and have created equivalent pull requests. An attached image showcases the vehicle improvements. Again I'm looking for markers missed and criticism. The LBSCR 6 wheel carriages will be updated in due time, I've spent far too long writing a script to update the image descriptors in the .dat files (trying my hand at bash scripting). Do you mean that increasing it by 1 makes the gap too big, or that changing it seems to have no effect at all? If the latter, if you are using a train created when the length was at a different setting, note that you will need to send the train to the depot and out again to see the difference. I meant the former, where adding an increment can provide a large distance between vehicles, although I'm certain this is exacerbated by the small size of carriages in the 19th century. Thank you very much for this. As to the length of the carriages, this is a known issue with the granularity of the length parameter, inherited from Standard. The only thing to do is find the length parameter that seems the least bad. Thank you for your work on the 4 wheel LBSCR carriages. The first thing that I notice looking at the commit is that you have added a front and rear full brake; may I ask what the reason for this is? The full brake carriages are usually agnostic as to whether they are at the front or rear, as they are symmetrical, unlike brake ended passenger carriages where the brake end needs to be on the outside of the train. I agree that the full brake carriages should be used as found suitable. However in the case of the specific full brake vehicle; the .blend file I found consisted of a rear brake coach and I decided to add a front coach to allow a train formation aesthetically pleasing. If I'm mistaken in the .blend file, then we should remove the newly added vehicle. Citing the source in the .dat file for LBSCR 4 wheel suburban stock: "These suburban carriages were close-coupled in semi-permanent sets by a central buffing fixture with side chains, and standard buffers were only fitted to the brake end of brake-thirds. ", may I suggest we constrain the player into using Stroudley suburban carriages with each other? I would also look into adding a third class carriage for the four wheeled carriages (using the images of the second as they would appear identical), to complete the set, or even some of the nine types introduced if that's sensible to do at this point. edit: I've re-rendered the 6 wheel graphics for 11x AA. Next up would be the LBSCR/SR 48ft/54ft augmented/sub/cor/non-cor conundrum. Can you remember where you retrieved the information for allocating each type to their respective .dat entry? Also, if you have a system for the .blend graphics I would be most grateful for a short overview of the layer magic. all others (composite, suburban, mail, milk, fast freight) are length=5 and look the same, and are longest. I understand that the granularity is a problem, but at least the 3-composit and luggage-3rd should be consistent - either 4 or 5, and perhaps made visually consistent either with the short mail-brake or the longer suburban and composite carriages). I tried both lengths, 4 is too close, 5 is too far. Also they are slightly misaligned comparing to all others (including the short mail brake van). (If you look at e.g. *_S.png you will see that the 3-composite and luggage-3rd's close end is one pixel closer (to the left). I also tried to have the mail-brake with length=3, it is too close but looks consistent if the other two are length=4. However they are too close to each other, and I think that at that time carriages were a bit further apart from each other. so length=4 for the brake van and length=5 for all others seems to be better, even if two of them are a bit shorter. Suburban 1st+2nd (comfort 66/60): 2x8 (1st) + 2x8 (2nd) + 2x4 (overcrowded) = 16 + 16 + 8 (4 compartments - 4 windows perhaps more space for stretching legs, OK), but I think the 1st class should be only 2x6. Luggage 3rd (comfort 62) : capacity 50+25, hmm 4 - windows with blank in the middle (luggage compartment + 4 passenger compartments). And shorter. So comparing to suburban we have shorter carriage, less compartments, but same capacity and higher comfort ? Completely wrong. I think this should be rendered to the same length, and capacity only 4x10 + 4x5 = 40+20. Luggage 1st+2nd (comfort 77/68): capacity 2x6 (1st) + 2x10 (2nd) + 2x5 (over) = 12+20+10. Again we have the same capacity as suburban 1+2, luggage compartment and higher comfort. Really? I think it should be 2x6 + 2x8 + 2x4, and maybe even changed to only 3 compartments (only 1 of 1st class), to have space for luggage and more comfort as in suburban composite. Luggage tricomposite (comfort (77/68/63): capacity 6+8+10, but according to http://www.vintagecarriagestrust.org/MS&L.htm, it had 4 compartments, so more probably 6+8+2x10. Also this one is shorter. Well it would make sense for 3-compartments, but that again would be more suitable for 1st+2nd composite. There is nothing like passenger + luggage brake car, so one has to combine the luggage cars either with two mail brakes (which is kind of overkill - too much mail capacity), or suburban brakes. What about having suburban brake with 4 compartmetns (capacity 40+20), and luggage brake with 3 compartments like http://www.preservation.kesr.org.uk/coaching-stock/l-nwr. (And capacity 30+15). Mail (non brake) and TPO have the same length as suburban 5-compartment coaches, but the mail brake is much shorter. Was it really so? The capacity as roughly 2/3 of the unbraked one, and there is part for the guard. I think again that this should be the same length. Also it would be nice to have a front and rear variant, as the picture is assymetric. The guards compartment is somewhat visible. - luggage composite (1/2) - should have 3-compartments 6+2x8, and may be shorter, but should be rescaled. Current 3-compartment image is too long for length=4. Or it could be a 1st + 3rd composite with 4 compartments? Spenk - thank you for your work on this, and apologies for not having had a chance to look into this yet: I have been very busy this week-end organising my shed, so I have not had any time for Simutrans. Vladki - thank you for your thoughts. The LBSCR carriages were based on specific known examples, although I think that these were initially done before I had taken to recording the source for each vehicle in a comment in the .dat file. I'm not taking about lbscr, but those that have liveries for LNWR, LSWR, GNR, GWR and MR. And the links I have posted are taken from dat files. Anyway I think a slight derivation from real dimensions to better fit the granularity of simutrans lengths is better than strict adherence to scale. Vladki, thank you very much for your suggestions. I can look into this and play around with the lengths, but I think the carriages are based on real sources and therefore have specific lengths. Is the issue here in aesthetics or convoy assembly? I concur with the issue of passenger capacities in the carriages, these can be amended (maybe very little overcrowding allowance in 2nd class to add an incentive other than slight price difference and valuable comfort advantage). Maybe we should make more use of luggage carriages. If they can work like a TPO for mail we can give the player the chance to reap the benefits of adding luggage carriages to their long distance trains. An alternative would be to make another (lower) catering class and add luggage sections into them while retaining higher comfort for carriages with internal luggage storage (above or below seats or at exits).